● Wide range of operating voltage from AC 210V/50Hz to 250V/50Hz. ● For checking AC voltage. ● For checking a RCD tester's test current & time in mA(ms). 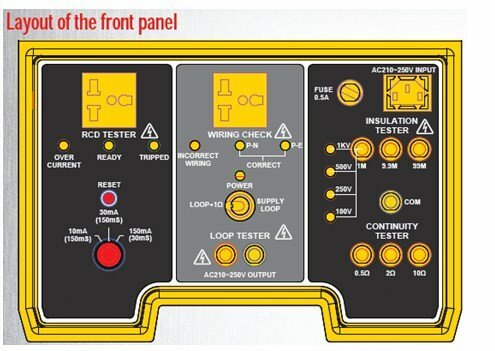 ● For checking a loop tester. ● For wiring check (Phase, Neutral, Earth). 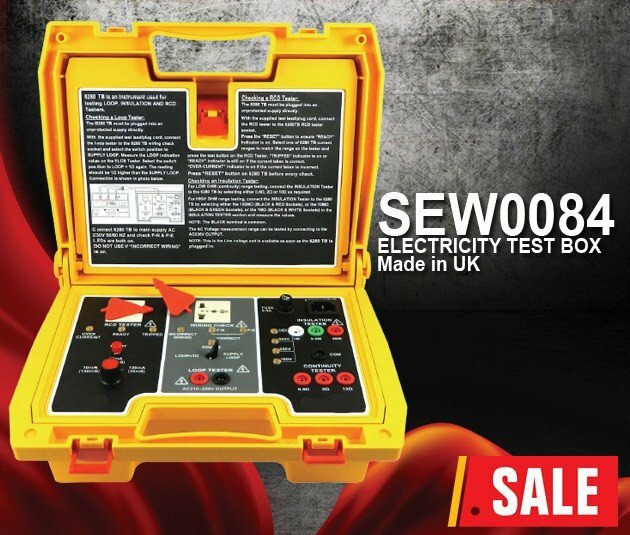 ● For checking insulation (The maximum is 1.2kV). ● For checking UK16th edition.